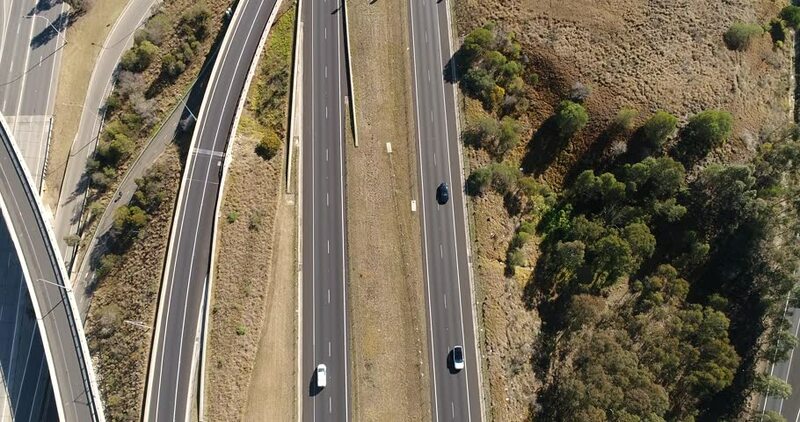 Ground level with multi-lane highway M4 at intersection with M7 named Light Horse intercharge in Western Sydney facing North and horizon. 4k00:23Aerial - Highways and cars. Road, track from above. 4k00:13AERIAL: Asphalt road through the forest along mountain creek in top view. Green pines, blue water, grey highway. Shot from above.Boiling water flow, empty road without cars.